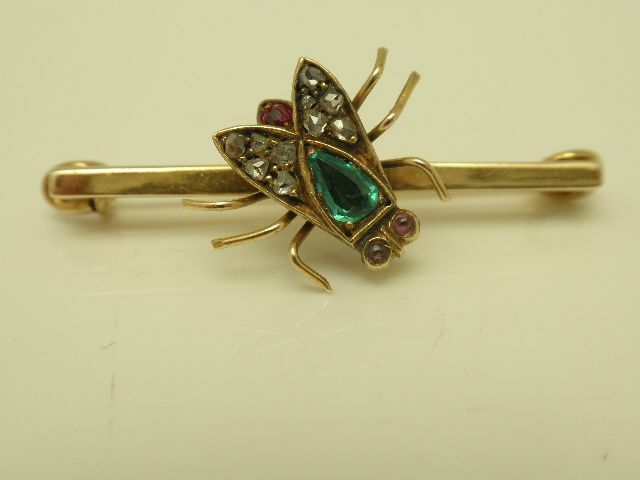 Antique 14K yellow gold fly brooch pin. 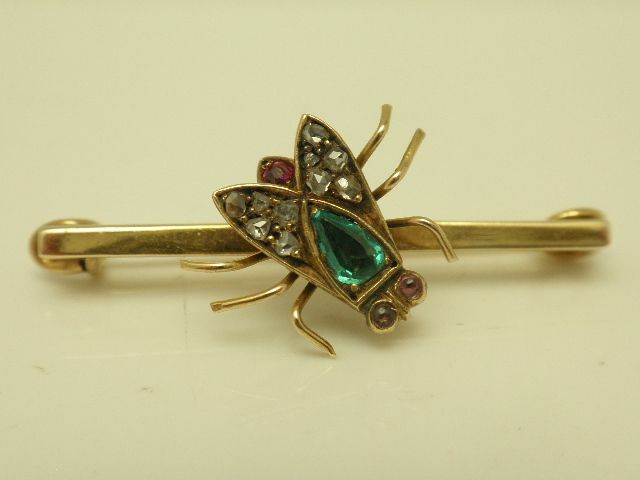 The fly is set with a pear cut genuine emerald of good color and clarity. 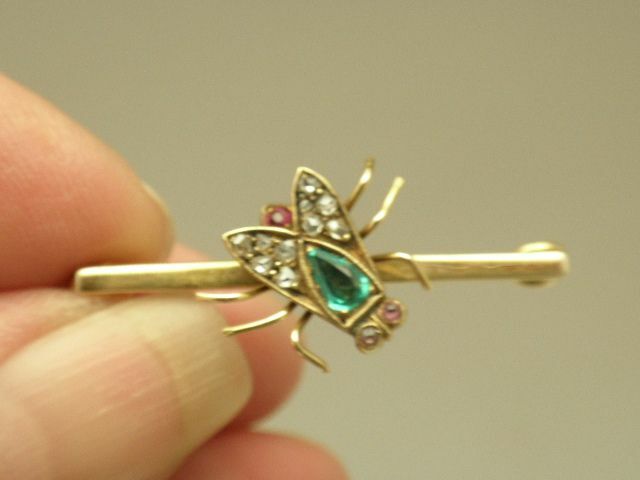 The wings are pave set with old mine cut diamonds, the tail with a cabochon ruby and cabochon amethyst eyes. 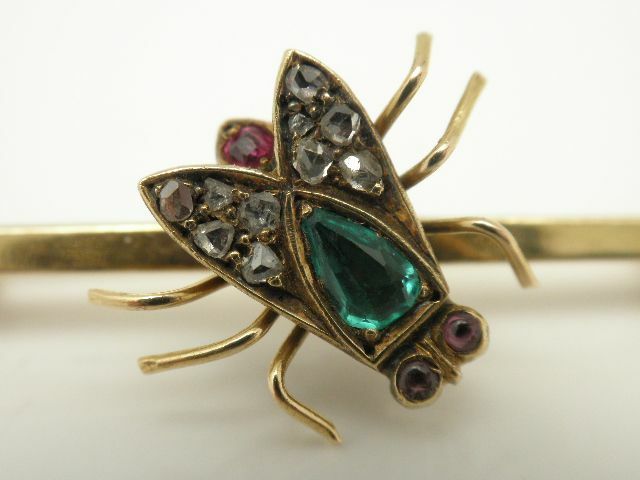 This is a beautiful little late Victorian piece. 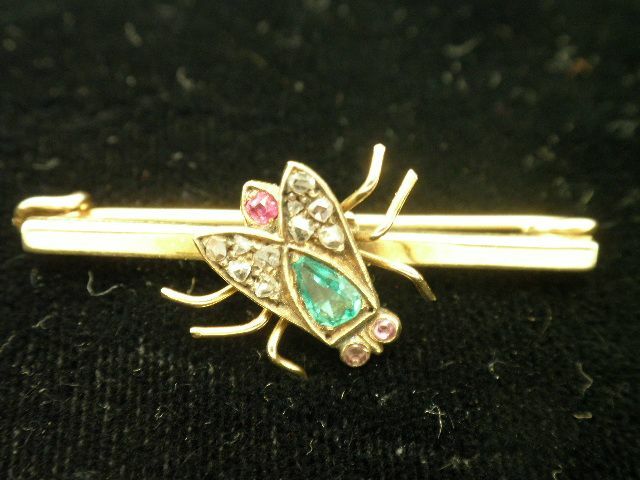 The brooch measures 1 3/8" long by 1/2" wide and weighs 3.2 grams. 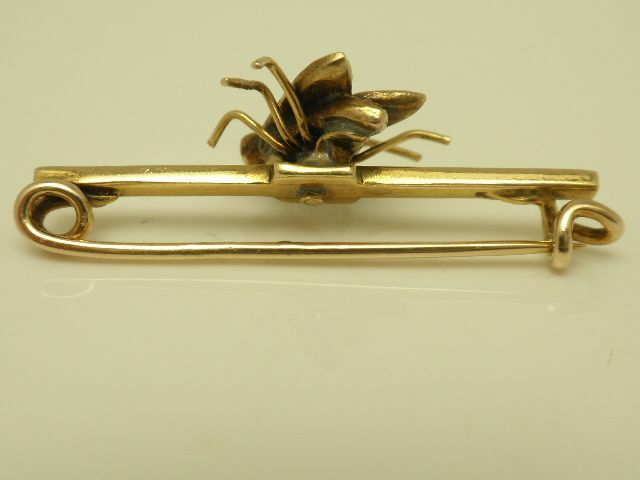 We date the brooch circa 1890-1900 legal antique.